March to Memorial Day Madness!!! 2) When you hit 25 classes, you will receive the Surfset tank top of you choice!!! 3) If you hit 50 classes by Memorial Day, receive a sweatshirt, beach bum hoodie or fuzzy fleece. PLUS, a $50 Lessing's gift card that can be used at any Lessing's establishment!!!! Now, in order to lead you to success, I'd like to give everyone a 10% discount on each package you purchase! $99 for 5 classes, $180 for 10 classes, and the BEST deal at $345 for a 20 class pack!!! Also, pick a friend, share a package and feel amazing heading into our favorite time of year!!! Partner up!!! 80% of a successful exercise program is accountability. Pick a friend to do the challenge with you and your rate of success goes up tremendously. Find someone who is positive, committed, and most of all supportive!!! Dedicate certain days and times to your training and stick to them. Our studio is located at 166 West Main Street in Bay Shore across from St. Patrick’s Church! How does Surfset improve your running?? A strong core, and great balance are imperative to being a steady and efficient runner. Surfset stems from the core. Every movement done on the Rip Surfer X engages the muscles of the core to restabilize and control the body in a constantly shifting environment. After a Surfset session, your next run on a steady surface will feel like a walk in the park! Surfset for ALL athletes. Surfset is a full body approach inspired by one of the world's most athletic sports, and the benefits are not limited to one field of fitness. We draw from the real movements of surfing to create workouts that build balance, core strength, stability, agility, aerobic conditioning, power, lean muscle and coordination. When you add Surfset to your fitness routine, you will literally "shake things up" and challenge your body in a whole new way! 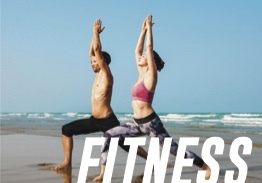 Surfset Long Island combines rotational core training with isometric movements to build a long lean torso,and elevates the heart rate to torch fat with fun moves such as Wave Runners, Shark Kicks, and Pop ups! All the moves are "surf inspired" and work the whole body. Don't let the names fool you, this is one challenging workout! Thank you for joining the Surfset Long Island Newsletter! visit our New Surf Studio!